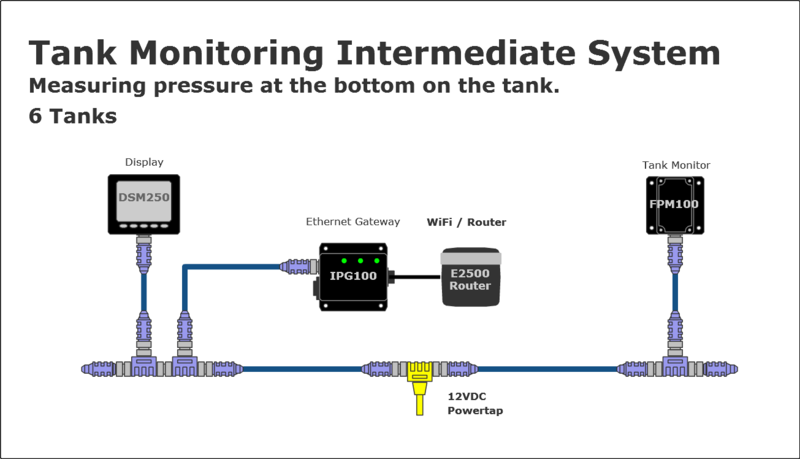 (All fluids other than gasoline/petrol). 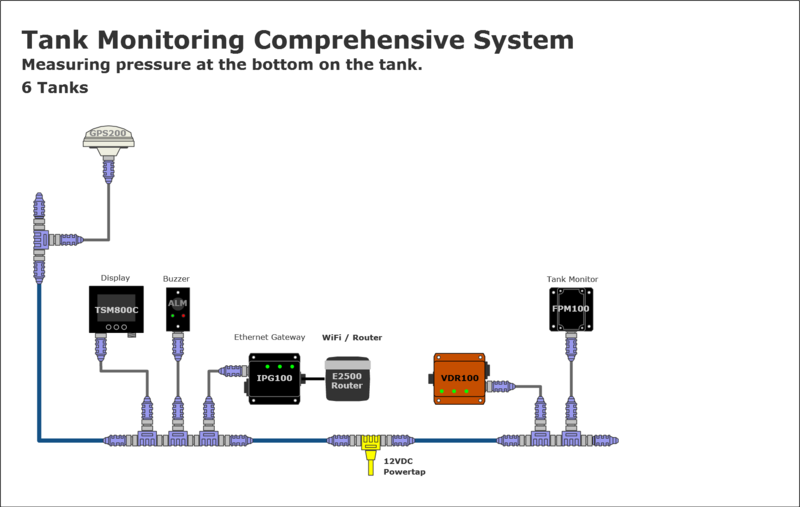 All these examples monitor 6 tanks - 2 fuel, 2 fresh water, 1 waste water, and 1 black water. 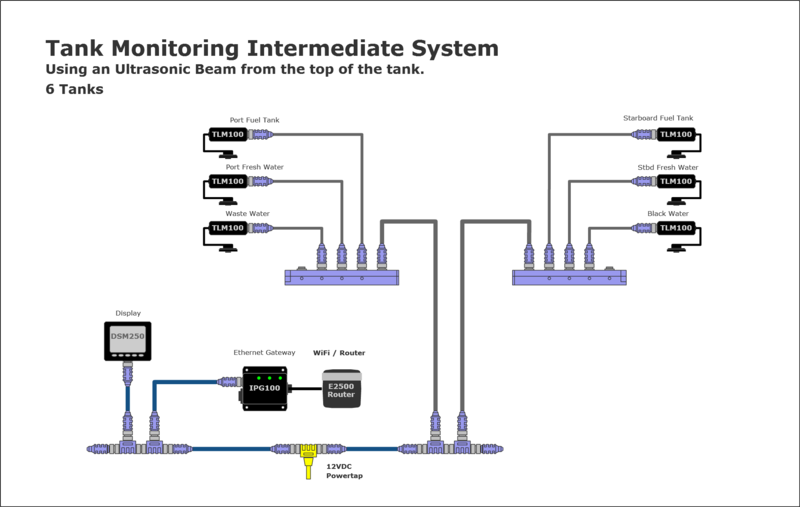 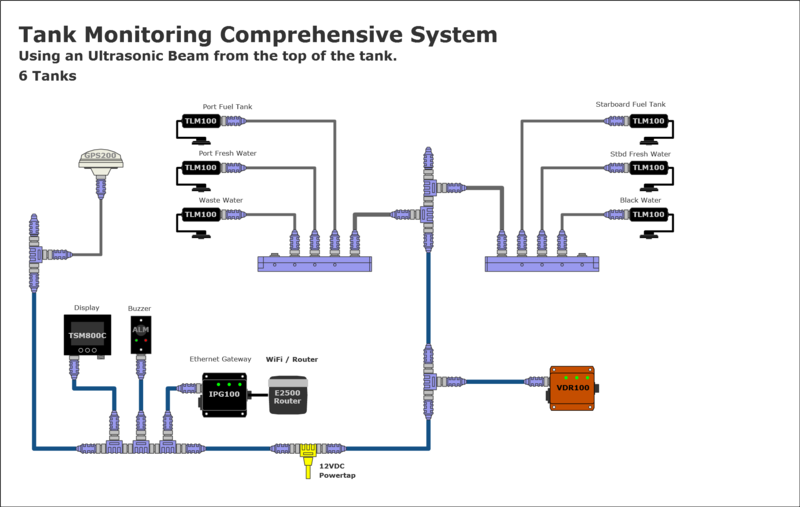 Tank Level Monitoring for gasoline/petrol tanks.